Defrost 3 hours at room temperature or 12 hours in the refrigerator. Best served within 4 days. Key Lime must remain refrigerated. Blueberry, Cherry and Apple best served at room temperature. Celebrating special occasions just got sweeter! This collection of mini pies is a delicious addition to any party’s menu. 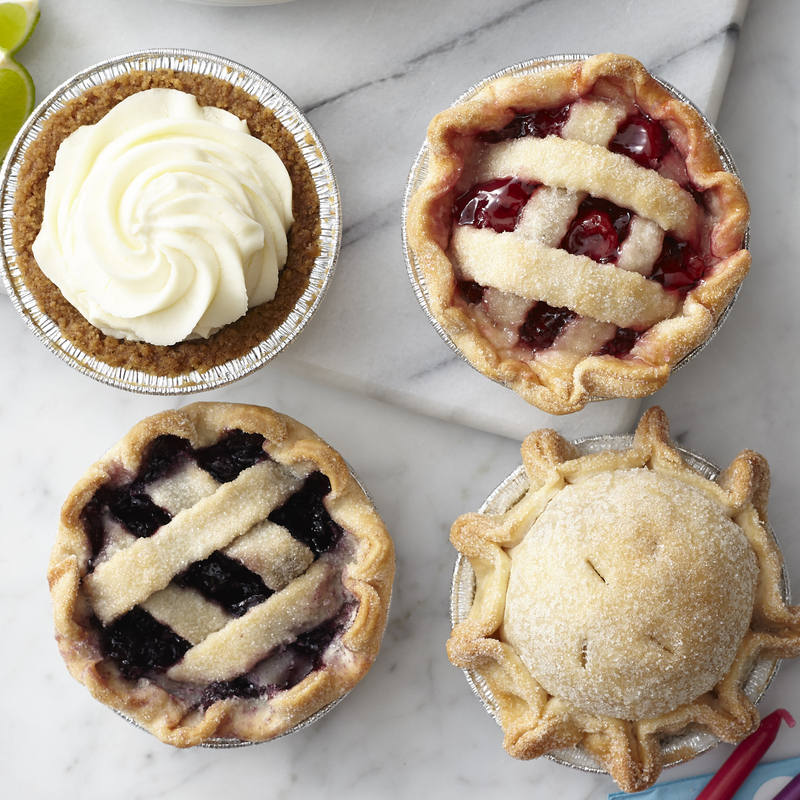 It has all the classic flavors covered in four mini pies perfect for sampling and sharing: Key Lime, Blueberry, Cherry, and Apple. Ships frozen.